Lukjanenko, L., Jung, M. J., Hegde, N., Perruisseau-Carrier, C., Migliavacca, E., Rozo, M., Karaz, S., Jacot, G., Schmidt, M., Li, L., Metairon, S., Raymond, F., Lee, U., Sizzano, F., Wilson, D. H., Dumont, N. A., Palini, A., Fassler, R., Steiner, P., Descombes, P., Rudnicki, M. A., Fan, C. M., von Maltzahn, J., Feige, J. N. and Bentzinger, C. F. (2016). Loss of fibronectin from the aged stem cell niche affects the regenerative capacity of skeletal muscle in mice. Nat Med 22(8): 897-905. Rozo, M., Li, L. and Fan, C. M. (2016). Targeting beta1-integrin signaling enhances regeneration in aged and dystrophic muscle in mice. Nat Med 22(8): 889-896. Ren, Y. A., Liu, Z., Mullany, L. K., Fan, C. M. and Richards, J. S. (2016). Growth Arrest Specific-1 (GAS1) Is a C/EBP Target Gene That Functions in Ovulation and Corpus Luteum Formation in Mice. Biol Reprod 94(2): 44. Kann, M., Bae, E., Lenz, M. O., Li, L., Trannguyen, B., Schumacher, V. A., Taglienti, M. E., Bordeianou, L., Hartwig, S., Rinschen, M. M., Schermer, B., Benzing, T., Fan, C. M. and Kreidberg, J. A. (2015). WT1 targets Gas1 to maintain nephron progenitor cells by modulating FGF signals. Development 142(7): 1254-1266. Van Mater, D., Ano, L., Blum, J. M., Webster, M. T., Huang, W., Williams, N., Ma, Y., Cardona, D. M., Fan, C. M. and Kirsch, D. G. (2015). Acute tissue injury activates satellite cells and promotes sarcoma formation via the HGF/c-MET signaling pathway. Cancer Res 75(3): 605-614. Jin, S., Martinelli, D. C., Zheng, X., Tessier-Lavigne, M. and Fan, C. M. (2015). Gas1 is a receptor for sonic hedgehog to repel enteric axons. Proc Natl Acad Sci U S A 112(1): E73-80. Choi, M. C., Ryu, S., Hao, R., Wang, B., Kapur, M., Fan, C. M. and Yao, T. P. (2014). HDAC4 promotes Pax7-dependent satellite cell activation and muscle regeneration. EMBO Rep 15(11): 1175-1183. Seppala, M., Xavier, G. M., Fan, C. M. and Cobourne, M. T. (2014). Boc modified the spectrum of holoprosencephaly in the absence of Gas1 function. Biol Open 38, 728-40. Southard, S., Low, S., Li, L., Rozo, M., Harvey, T., Fan, C. M. and Lepper, C. (2014). A series of Cre-ER(T2) drivers for manipulation of the skeletal muscle lineage. Genesis 52(8): 759-770. Webster, M. T. and Fan, C. M. (2013). c-MET regulates myoblast motility and myocyte fusion during adult skeletal muscle regeneration. PLoS One 8(11): e81757. Blum, J. M., Ano, L., Li, Z., Van Mater, D., Bennett, B. D., Sachdeva, M., Lagutina, I., Zhang, M., Mito, J. K., Dodd, L. G., Cardona, D. M., Dodd, R. D., Williams, N., Ma, Y., Lepper, C., Linardic, C. M., Mukherjee, S., Grosveld, G. C., Fan, C. M. and Kirsch, D. G. (2013). Distinct and overlapping sarcoma subtypes initiated from muscle stem and progenitor cells. Cell Rep 5(4): 933-940. Gunther, S., Kim, J., Kostin, S., Lepper, C., Fan, C. M. and Braun, T. (2013). Myf5-positive satellite cells contribute to Pax7-dependent long-term maintenance of adult muscle stem cells. 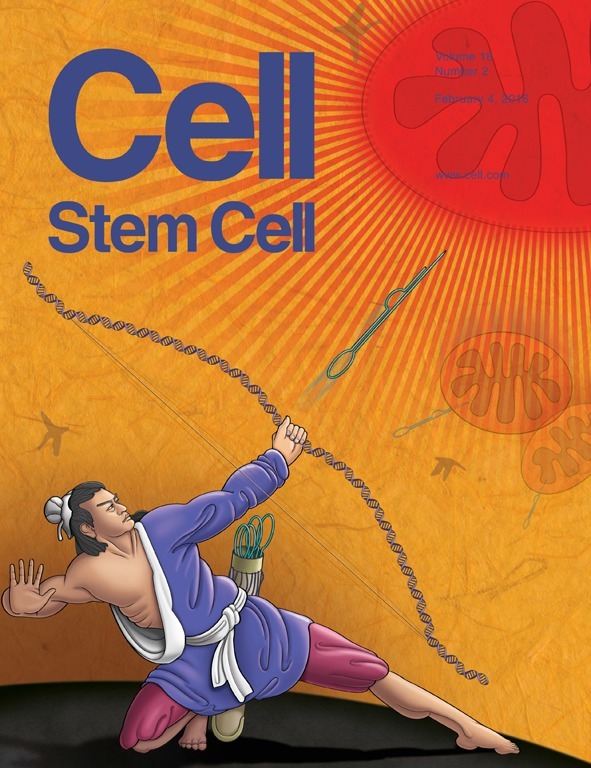 Cell Stem Cell 13(5): 590-601. Minchin, J. E., Williams, V. C., Hinits, Y., Low, S., Tandon, P., Fan, C. M., Rawls, J. F. and Hughes, S. M. (2013). Oesophageal and sternohyal muscle fibres are novel Pax3-dependent migratory somite derivatives essential for ingestion. Development 140(14): 2972-2984. Lopez, T. P. and Fan, C. M. (2013). Dynamic CREB family activity drives segmentation and posterior polarity specification in mammalian somitogenesis. Proc Natl Acad Sci U S A 110(22): E2019-2027. Gurung, B., Feng, Z., Iwamoto, D. V., Thiel, A., Jin, G., Fan, C. M., Ng, J. M., Curran, T. and Hua, X. (2013). Menin epigenetically represses Hedgehog signaling in MEN1 tumor syndrome. Cancer Res 73(8): 2650-2658. Khonsari, R. H., Seppala, M., Pradel, A., Dutel, H., Clement, G., Lebedev, O., Ghafoor, S., Rothova, M., Tucker, A., Maisey, J. G., Fan, C. M., Kawasaki, M., Ohazama, A., Tafforeau, P., Franco, B., Helms, J., Haycraft, C. J., David, A., Janvier, P., Cobourne, M. T. and Sharpe, P. T. (2013). The buccohypophyseal canal is an ancestral vertebrate trait maintained by modulation in sonic hedgehog signaling. BMC Biol 11: 27. Biau, S., Jin, S. and Fan, C. M. (2013). Gastrointestinal defects of the Gas1 mutant involve dysregulated Hedgehog and Ret signaling. Biol Open 2(2): 144-155. Lee, S. J., Huynh, T. V., Lee, Y. S., Sebald, S. M., Wilcox-Adelman, S. A., Iwamori, N., Lepper, C., Matzuk, M. M. and Fan, C. M. (2012). Role of satellite cells versus myofibers in muscle hypertrophy induced by inhibition of the myostatin/activin signaling pathway. Proc Nat Acad Sci 109: E2353-2360. Havis, E., Coumailleau, P., Bonnet, A., Bismuth, K., Bonnin, M. A., Johnson, R., Fan, C. M., Relaix, F., Shi, D. L. and Duprez, D. (2012). Sim2 prevents entry into the myogenic program by repressing MyoD transcription during limb embryonic myogenesis. Development 139(11): 1910-1920. Pineda-Alvarez, D. E., Roessler, E., Hu, P., Srivastava, K., Solomon, B. D., Siple, C. E., Fan, C. M. and Muenke, M. (2012). Missense substitutions in the GAS1 protein present in holoprosencephaly patients reduce the affinity for its ligand, SHH. Hum Genet 131(2): 301-310. Peter Lopez, T. and Fan, C. M. (2012). A transgenic Tbx6;CreERT2 line for inducible gene manipulation in the presomitic mesoderm. Genesis 50(6): 490-495. Lepper, C. and Fan, C. M. (2012). Generating tamoxifen-inducible Cre alleles to investigate myogenesis in mice. Methods Mol Biol 798: 297-308. Osterberg, N., Wiehle, M., Oehlke, O., Heidrich, S., Xu, C., Fan, C. M., Krieglstein, K. and Roussa, E. (2011). Sim1 is a novel regulator in the differentiation of mouse dorsal raphe serotonergic neurons. PLoS One 6(4): e19239. Kim, Y., Sharov, A. A., McDole, K., Cheng, M., Hao, H., Fan, C. M., Gaiano, N., Ko, M. S. and Zheng, Y. (2011). Mouse B-type lamins are required for proper organogenesis but not by embryonic stem cells. Science 334(6063): 1706-1710. Lepper, C., Partridge, T. A. and Fan, C. M. (2011). An absolute requirement for Pax7-positive satellite cells in acute injury-induced skeletal muscle regeneration. Development 138(17): 3639-3646. Vong, Q. P., Liu, Z., Yoo, J. G., Chen, R., Xie, W., Sharov, A. A., Fan, C. M., Liu, C., Ko, M. S. and Zheng, Y. (2010). A role for borg5 during trophectoderm differentiation. Stem Cells 28(6): 1030-1038. Lepper, C. and Fan, C. M. (2010). Inducible lineage tracing of Pax7-descendant cells reveals embryonic origin of adult satellite cells. Genesis 48(7): 424-436.